Western Metal Recycling pays Cash for Scrap Cars Perth wide! Our experts buy all makes and models in both operational and non-operational conditions every single day. 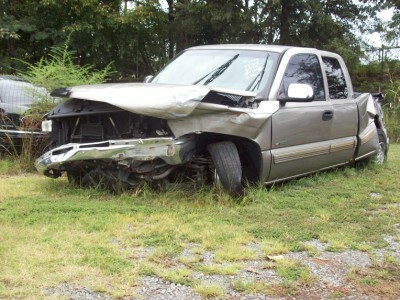 Every week, we buy tens of scrap vehicles and pay up to $10,000 in real cash. Whether your vehicle for sale is a sports car, luxury car or an old van or truck, we will come to with our Cash for Scrap Cars and remove your unwanted vehicle within hours. All you need to do is make us a call at 0415 227 955. Like the idea of getting rid of your scrap car to save the environment and earn a little cash while you are at it? If you sell your scrap car to Western Metal Recycling, you can be rest assured that the process is simple and super easy. Here is how easily you can get rid of your scrap car in Perth for FREE and make up to $10,000 in instant cash! If this is a very old car and your kids had turned it into their playground, you might want to check up for any personal items. Or do you have anything of your own left in there? Once the vehicle is removed, you obviously wonï¿½t be able to make a claim for anything so make sure you remove it before availing Cash for Scrap Cars offer. Australian laws require us to get a vehicle title and your identification papers before we process this deal. This makes sure that even vehicles that arenï¿½t licensed can be documented. Before having our experts come for Cash for Scrap Cars Removals, ensure that you have a valid title for the vehicle to sell your junk car. While Western Metal Recycling pays you for every useful and expensive part in your vehicle, you might want to save something for your newer vehicle. Did you just get a new stereo system installed? Do you think that would work with your new vehicle? Then, why not take it out and save it for future use? But, if you donï¿½t have any uses for parts, stop messing up your garage with useless junk and let us take care of everything! Call Western Metal Recycling and give us details of your scrap vehicle. Its make, model, condition, year it was bought in, any accidents ï¿½ the more specific you are with the description, the more accurate our appraisal would be! Based on the details provided by you, we will offer you a quote that you have every right to reject or accept. Want to get it double checked? You are very welcome to do so. Just make sure that sometimes a quote that looks too good to be true is too good to be true as many businesses take the value down when it comes to actually paying you. Our quote is completely obligation free to make sure our clients can double check it to be satisfied with both our Cash for Scrap Cars offer and our free car removal services. We will come with our loading trucks for FREE scrap car removal. Make sure you have followed the first three steps and are ready to say goodbye to your scrap vehicle. Recycling businesses arenï¿½t only helpful to a car owner as they bring much deserved cash and conveniences, but also to the environment, as well. Call us at 0415 227 955 today and get rid of that scrap vehicle! Leave the rest to us. For your ease, we also offer free towing services so you do not need to worry about having to move or bring the car anywhere. And at the end of it all, you get paid for it ï¿½ so why wait? We offer up to $10,000 on the spot cash for scrap cars. Rest assured that we do not let your scrap car go to waste. We will recycle your vehicle in an eco-friendly manner. All metal will be scrapped and all liquids (brake fluid, oil, etc) will be properly disposed off. Tyres will also be recycled and will not be left in a landfill. In short, we recycle in a way that has a minimal negative impact on the environment. Apart from disposing off your scrap vehicle in an eco-friendly way, we buy all makes and models of a wide variety of car companies like Toyota, Ford, Honda, Nissan and many more. We offer you a free no-obligations quote so you can decide for yourself if our offer is suited to you or not. Our services include same day pickup anywhere in Perth. We handle the whole process so you can have peace of mind and do not have to waste much time in trying to get rid of your scrap car. Do not let your scrap vehicle rust away when you can be getting some money out of it instead. Western Metal Recycling operates 24/7 and will gladly collect your scrap car for cash anywhere in Perth region. We pay market value and our offers are unmatchable. Call us today at 0415 227 955 for a free instant quote. You can also fill the instant quote form on our homepage and our representative will get back to you immediately.